The Bose Soundbar 500 is a great start, but if you’re looking to amp up the performance, just add the Bose Bass Module 500. 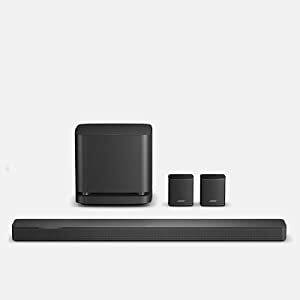 Designed for the Bose Soundbar 500, the Bose Bass Module 500 takes your music, movies, and more to a whole new level. 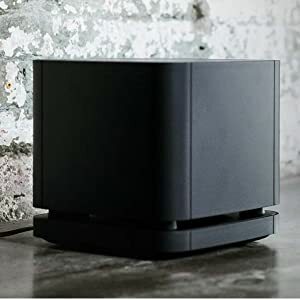 It’s thunderous bass in a compact, 10-inch cube with wireless connectivity — making it easy to hide, but even easier to hear. Who says you need a big box for big bass? the Bose bass module 500 will take your music, movies, and more to the next level. It’s rich, thunderous bass in a compact, 10-inch cube, making it easy to hide, and even easier to hear. Wireless connectivity allows you to place the Bose bass module 500 just about anywhere. Leave it next to the TV or put it under your entertainment centre – the choice is yours. Who says you need a big box for big bass? Not us. Designed to complement the Bose Soundbar 500, the Bose Bass Module 500 provides rich, thunderous bass without taking up much room space. And it’s wireless so you can place it just about anywhere. For an even more fully immersive experience, pair your Bose Bass Module 500 with the Bose Surround Speakers to be in the center of the action. They may be small, but the sound is anything but. Measuring only 4” tall, the only thing that stands out is the sound.